The Mayfield Electric Fireplace Media Console in Cherry is a stunning piece built from fine furniture grade materials for a real quality appearance. The Mayfield's classic fashion showcases fluted edges, a bold box base and scotia molding detail. Easily display up to a 60-inch television and ample storage for your electronic devices in the isolated center shelf. The two side cabinets are best for your movie and music collections. This piece has everything, the looks, as well as the needed storage for creating the perfect media room. The Mayfield TV stand features decorative metal trim details and a partitioned, open display shelf that provides room to organize all of your electronics. Each cabinet features frame & panel doors with brass hardware and adjustable wood shelf that is the perfect solution for storing movies, games and other entertainment needs. 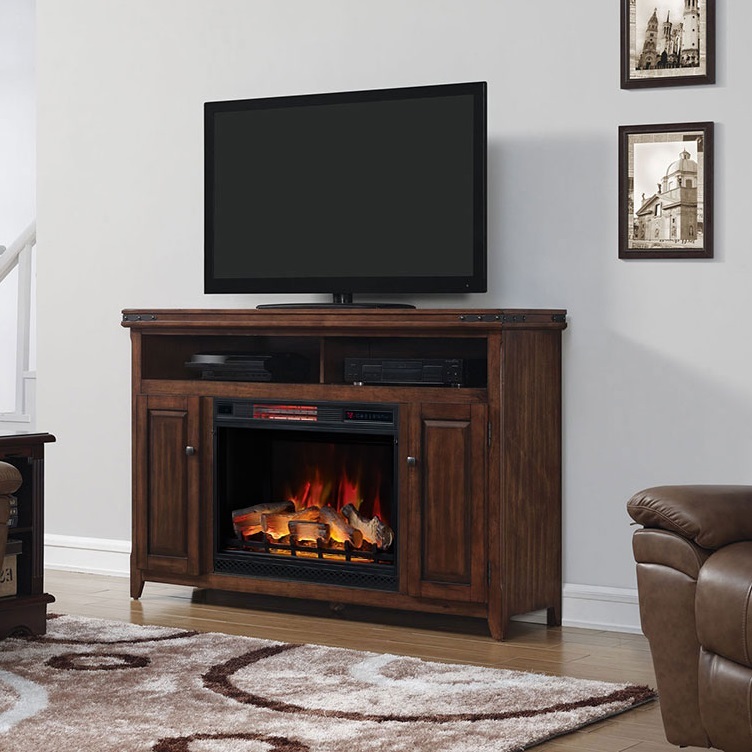 The Mayfield TV stand complements a ClassicFlame 28" electric fireplace insert (sold separately). Simple, hassle-free assembly with just a Phillips head screwdriver.